Blogging can be overwhelming…especially in the beginning! There is SO much to learn…and then implement. Many bloggers quit in the first six months after starting a blog for this reason. If you don’t have someone to guide you step by step, you feel like you are going it alone and you’ll never “get there.” I know…I felt that way too. But what if you had a detailed, step-by-step guide to walk you through it? If you are looking to start a blog or website but you are feeling overwhelmed, this is the ONLY resource you will need to get started! *This article contains affiliate links. I am sharing these resources with you because they have helped me tremendously through my blogging journey. I do not recommend any products in this review that I do not use myself. You can find a lot of this information online yourself, through various searches. When I started blogging, I knew immediately that I wanted to make an income for my family and needed to get down to business. I didn’t want to do the busy-work that came with all that research. Building A Framework had all the information I was looking for, and then some, in one place. It saved me time, money and peace of mind. As a busy mom, that is priceless! I bought Building a Framework in my first month of blogging and was able to bring in over 4,000 pageviews in my first 30 days! I also implemented many of Abby’s social media strategies and more than doubled my social media following on Pinterest, Twitter and Facebook. In less than two years, Abby was able to make a six figure income from her blog. Now that is someone I want to learn from! I still have yet to implement SO many tips and tricks from her book and I am thrilled that this one investment will carry me so far through my blogging journey. THE MASTER PACKAGE ($75): This is the one I purchased and I am beyond thrilled with my choice. Building a blog doesn’t have to be overwhelming. Building A Framework, along with my theme, is one of the best investments I have made for my blog thus far. I have the book and access to Abby’s Facebook group, as well as the video tutorials and expert videos for life. If you need that step-by-step guide to succeed, like I did, I highly recommend Building a Framework. This seems like a lot of really good info! It can be really tricky trying to figure out the ins and outs of blogging in the beginning so I’m sure this would be really great for a new blogger! I have been blogging for about 5 years. This book would have been good for me in the beginning for sure. I have seen this before, and I think I’m about to the point that I really need it. I love all the video tutorials that come with the second and third tier options. Those would be SOOO helpful! Thanks for reminding me of this resource. Thank you for sharing this, looks like a lot of useful information to help a beginner blogger such as myself! It sounds like it was a great investment for you! Blogging can be pretty overwhelming. iJust when I think I figure out a plan for social media, there is a big change. It is daunting! This post is like a godsend for me. I’m definitely way overdo for a blog overhaul and redesign but overwhelmed with it all. I definitely see myself making this purchase in the near future. I’m so glad the timing was right Terri! The book has been so helpful for me! Definiteling pinning this to save for a later date! I’ve seen this advertised a lot on blogs but have never looked too closely into it. It seems like such a helpful tool! I have heard good things about this book and may need to look further into it. I follow Abby’s blog and have seen this book before but haven’t taken the leap as I had other resources on hand. I’m thinking I might look into it a bit more! I’m starting to think that I need to hire someone to make my blog beautiful. It’s a full time job to learn all of this! I give you so much credit for persevering! How awesome is that – 4000 page views in 30 days?! I guess I need to add this to my list of “to-look-into’s”…. Great resource! I always see this book, but haven’t really looked into it. I am a very visual learner, so I like this comes with videos! I need to “see” it to learn it. And there is SO much to learn when it comes to blogging! I feel like don’t know where to start some days! I will definitely check this out! I hear you Brittany! I am sure you’ll get some great advice from it! I’ll be putting this book on my Christmas list for sure! I’ve heard so many positive reviews about this! Thanks for sharing! Wow congratulations on your fast success. Tons of information to check out and digest. Thanks, Terryn! I might have to get this. Although I’ve been blogging for two years I still feel years behind in some of the categories included in this package. And the price is good! This has covered everything!!! so glad i found this! So I actually have this book sitting on my desktop, I guess I’d better get to reading it! 4000 views in a month is crazy, congrats! This sounds like such a great book! I’ve been blogging for 2 years and I’m not making anything from it but I’d love to know how to turn it in to a joyful business too. Definitely putting this on my Christmas list! Thanks for sharing! 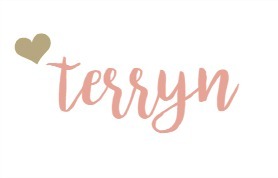 I just started blogging and an definitely in the overwhelmed stage. I’m definitely looking into this! This seems like an awesome resource. I started in blog in August. I’m not as overwhelmed as I was in the first 3 months are so but there are still so many things to learn. Thank you!